Get out of town with these interesting Madrid side-trips: Toledo (El Transito Synagogue and Sephardic Museum, Museo del Greco, & more) and Segovia Aqueduct (in Segovia). On the 5th (Sat), spend an exhilarating day on the slopes at Puerto de Navacerrada - Estacion de Esqui. There's lots more to do: examine the collection at Prado National Museum, admire all the interesting features of Stadio Santiago Bernabeu, admire the striking features of Plaza Mayor, and contemplate the waterfront views at Retiro Park (Parque del Retiro). To find other places to visit, reviews, more things to do, and other tourist information, you can read our Madrid trip planner . Sydney, Australia to Madrid is an approximately 25-hour flight. You can also do a combination of bus and flight; or do a combination of train and flight. The time zone changes from Australian Eastern Standard Time (New South Wales) (AEST) to Central European Time (CET), which is usually a -9 hour difference. Plan for much colder temperatures traveling from Sydney in December, with highs in Madrid at 14°C and lows at 3°C. 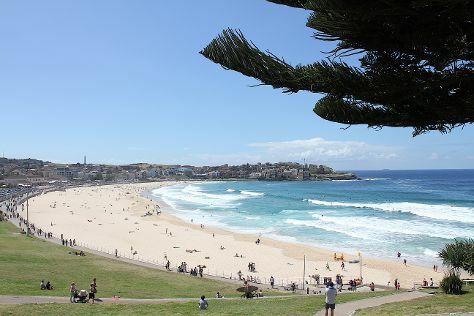 Finish up your sightseeing early on the 15th (Tue) so you can travel to Sydney. Explore the numerous day-trip ideas around Sydney: Gallery Blackheath (in Blackheath), Norman Lindsay Gallery & Museum (in Faulconbridge) and Leura (Everglades Historic House and Gardens & The Nook). Spend the 22nd (Tue) exploring nature at Sydney Harbour National Park. Next up on the itinerary: listen to music at Sydney Opera House, stroll through Bondi Beach, see the interesting displays at Australian National Maritime Museum, and enjoy the sand and surf at Coogee Beach. To see photos, more things to do, reviews, and other tourist information, you can read our Sydney tour itinerary planner . You can fly from Madrid to Sydney in 25 hours. Other options are to do a combination of flight and bus; or do a combination of flight and train. The time zone changes from Central European Time to Australian Eastern Standard Time (New South Wales), which is usually a 9 hour difference. Plan for much hotter temperatures traveling from Madrid in January, with highs in Sydney at 32°C and lows at 23°C. Wrap up your sightseeing on the 31st (Thu) early enough to travel back home.